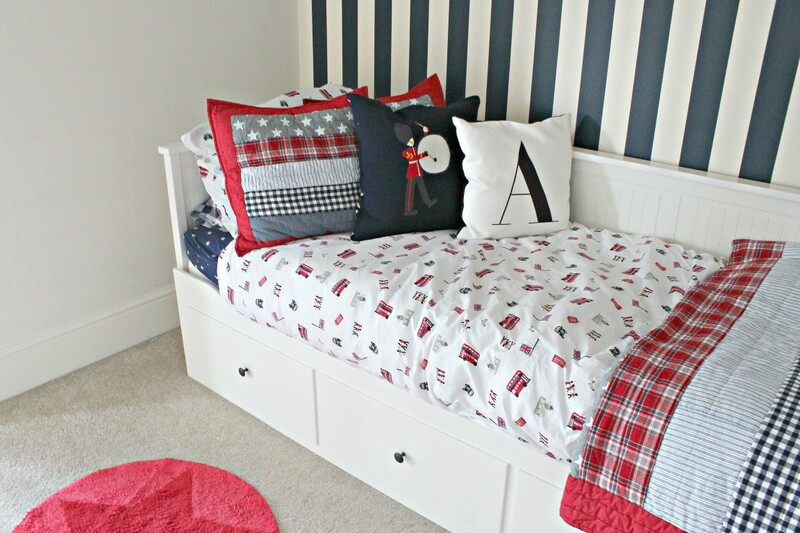 In addition to our previous article kid’s beds, we would also like to help you choosing the right style of their room. 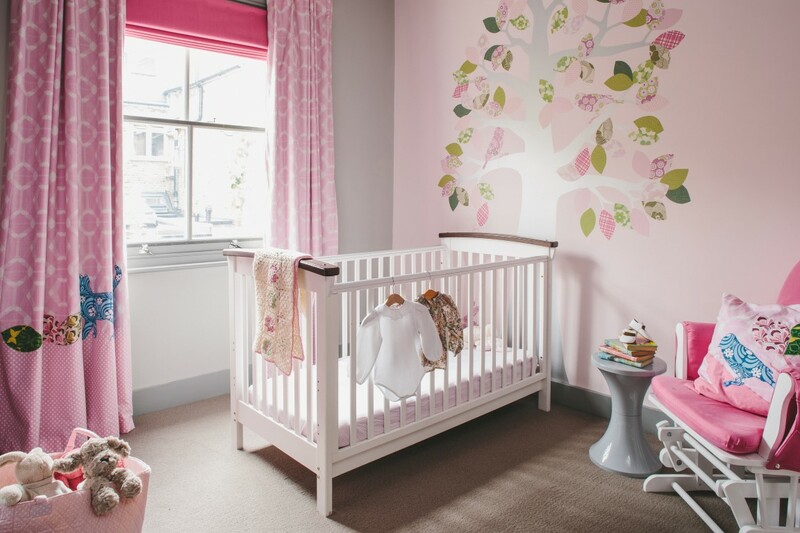 If you’re redesigning your child’s room or design for the first is important to make the right choise because it is no surprise that children spend a lot of time in their bedroom. Used for sleeping, playing and working, it follows that their space should be a reflection of their little personalities. So for theat reason, we have selected a few beautiful and practical styles which we hope will help you. Use the height of the room and choose tall rather than wide furniture. Think about buying a single-door wardrobe and adapting it to your needs. 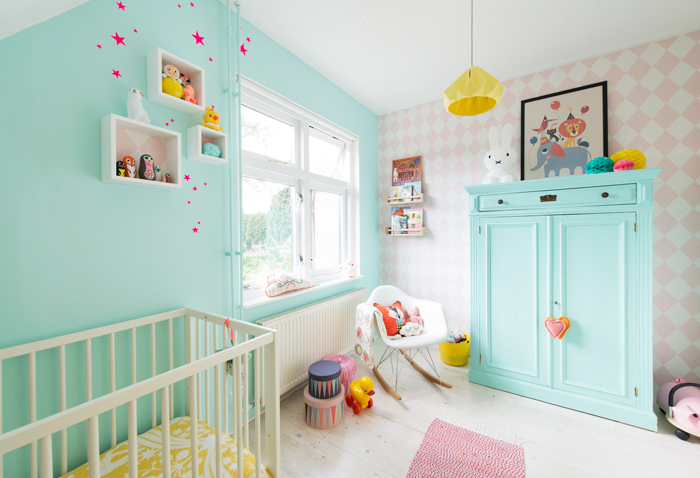 You could fit a few more hanging rails for your baby clothes, and shoe racks and storage boxes could slot in nicely at the bottom. The art makes the difference. Framed prints that weren’t themed or particularly babyish, but are whimsical/colorful and otherwise interesting may have aligned with all of tastes and have held up to five years of changes, including several room swaps. Another option for nappy changing is a wall-mounted changing unit, which folds up against the wall when not you’re not using it. Most have storage pockets for all your nappy-changing accessories. You could also put up some shelves, with enough space between them to fit boxes and baskets. Room corners are often left bare, so think about corner cupboards or shelving and corner hanging nets. Corner changing tables use less floor space and your baby’s legs will be facing you, which you may find easier for nappy changing. Use old toys to decorate your kids bedroom. 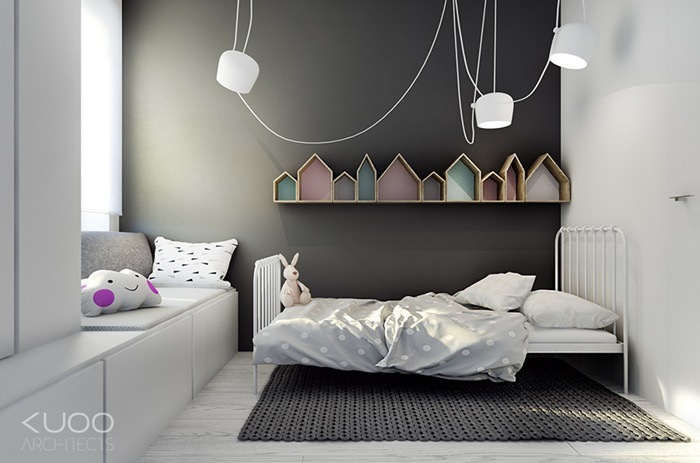 Get creative with your kid’s playthings by using them for storage or as room decor. Your classic, metal red wagon can become the perfect place to store books or blocks. You can even use small toys to fill a clear glass lamp. Don’t be afraid to use monograms or hashtags. Oversized wall letters can create a great and unique touch of personalization on bedroom walls. 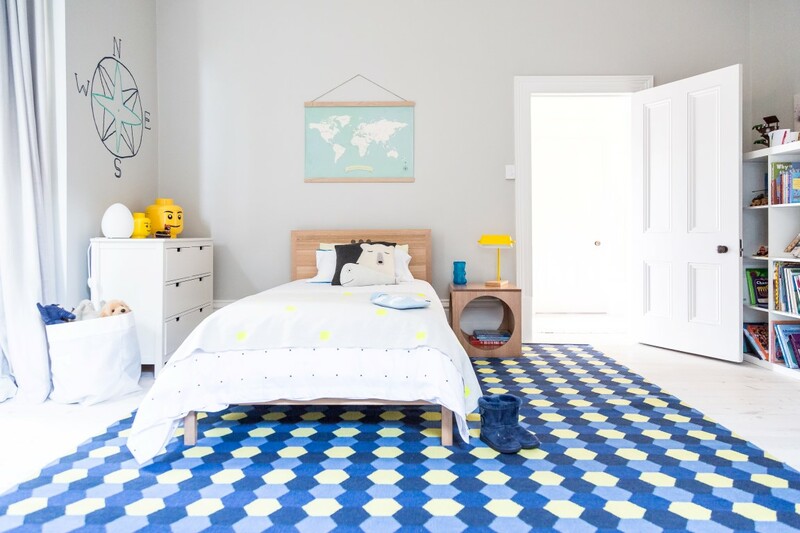 Whether you decorate with their initials or a few of their favorite phrases or words, kids will love reading their own walls. Create a celebration every day! Incorporate playful party decorations into everyday room decor instead of saving them only for special occasions. A tassel garland placed above the bed and decorative streamers placed near a window are easy and inexpensive wall art and make every single day feel like a party. Definitely an important part of every family and an important detail. So many people end up stashing away great photos in boxes or photo albums. Display them front and center instead! It’s also a great way for your kids to get familiar with extended family that they might not get to see all that often. Nothing will make your favorite little artist more proud than getting his or her very own doodles and drawings matted and framed. 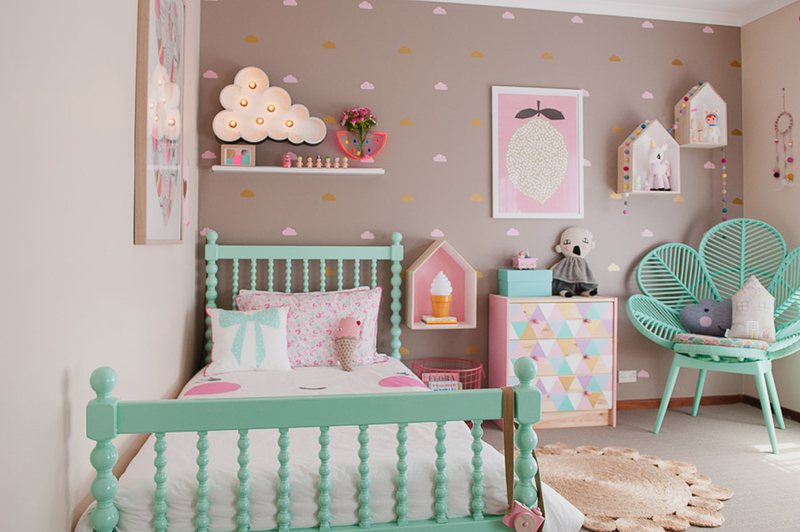 It adds color and a healthy dose of imagination to a bedroom or playroom. Plus, they’re one-of-a-kind pieces of art. Have them sign the bottom corner to make it feel even more official.